Many Thanks to Mag for bringing me as her plus one to KOSÉ Youthful Radiance Beauty Workshop last weekend at Marina Bay Sands Convention (Cassia Ballroom). We got a chance to catch Ariel Lin 林依晨 in-person during the Beauty Show! I’m really excited! Beauty Fair was happening at Cassia room too which we get to enjoy ONE DAY ONLY deals and promotions up to 30% off! Filled with Blue and White balloons, beach chairs and decorations makes me feel like I’m on my summer holiday at beach! It’s also to match their theme of the event, “Beat the Sun with Airy-Light Sunscreens”. Besides, promotions and deals available at the Beauty Fair, attendees get to enjoy complimentary skincare consultation + makeup touch up service, express manicure service, sand art fun, photo-booth and exclusive prizes. We can Beat the Sun with with new airy-light SEKKISEI Sun Protectors!! Not to miss out the photo-booth! Beauty Show was hosted by FM93.3 DJ Jia Hui, with her bubbly character she made the atmosphere so lively and cheerful. Here comes the Star of the event! Ariel Lin! Ariel Lin has been using KOSÉ products over 10 years, she also shared some tips to the audiences how KOSÉ helps her to maintain her beautiful and poreless skin. First activity of the beauty show, KOSÉ Beauty Trainer Chloe Loh demo the application of airy-light SEKKISEI Sun Protectors and BB Cream on the model. And share with us the effectiveness and benefits of the products. Next up, Jia Hui invited 2 audiences to be up on the stage. There was a PK match between Chloe Loh and Ariel Lin on “Complete your skincare and base makeup routine in 80 seconds with SEKKISEI White BB Cream!”. Chloe Loh completed her model look less than 80 seconds where as Ariel Lin complete her model application at exactly 80 seconds. SEKKISEI White BB Cream is perfect for us on lazy days and speed up our daily makeup routine. Second Part of the event, Japanese Makeup Artist Osamu Dobashi did a makeup demo on Hayley Woo and share with us some makeup beauty tips. Lastly, Ariel Lin was invited back to the stage with another look and outfit. Sharing with us her makeup tips and her makeup routine while she’s studying in London. She’s such a lovely artist, she posed with the SEKKISEI Sun Protectors props with all angles to make sure we able to a good take of her. Signed on the Big backdrop. 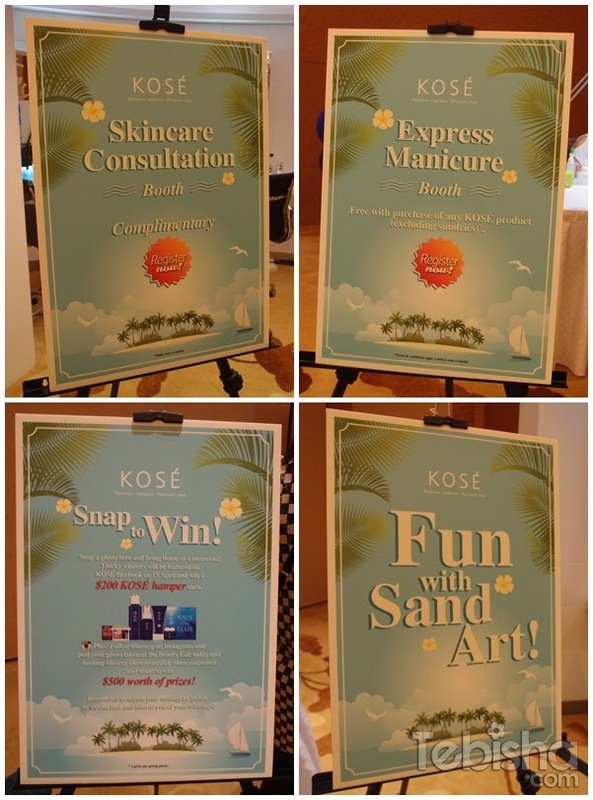 Thank You KOSÉ SG for arranging such an awesome event and gave us a chance to meet Ariel Lin in-person plus giving us so many beauty tips of KOSÉ products. 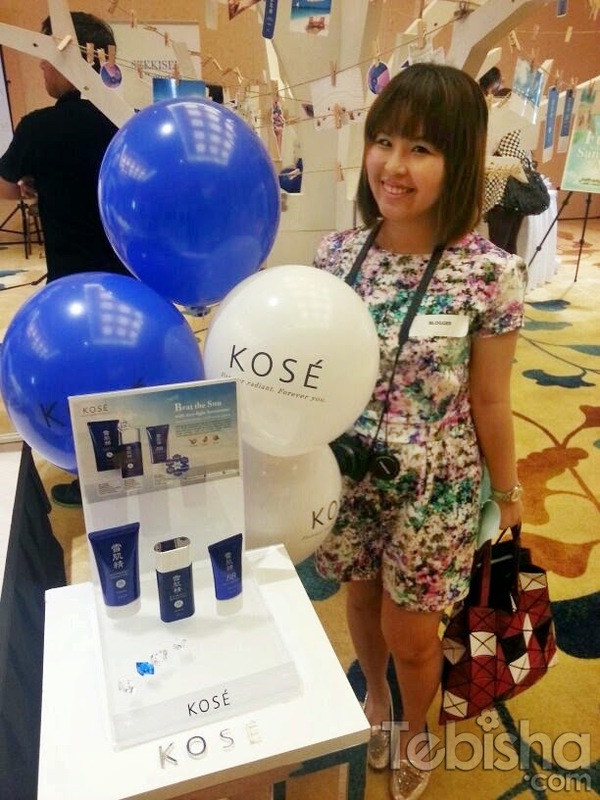 LIKE KOSÉ Singapore Facebook now!